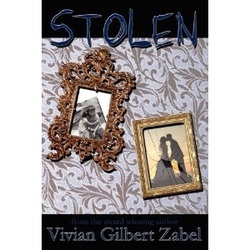 Stolen crafted by Vivian Gilbert Zabel is the proverbial page turner done with sensitivity and emotions that will keep you wanting more. The emotions are garnered from her own life as two of her grandchildren were taken by their father. Torri Adamson and her children go to live with her family, after she learns that her husband has married another woman. She has spent her whole married life forgiving him his predilection for other women. This bigamous marriage is the last straw. He lets her have a divorce and does not want to have anything to do with the children. He even talks the other woman into marrying him legally. As Torri picks up her life, she loses her best friend to cancer; she develops a new relationship with Jason, her best friend’s widower who provides the father role in the children’s lives. Then, her ex-husband makes a move that she cannot believe. He takes the children from her – stolen! Mrs. Zabel has captured the tension that is always connected to a crime like this. You must read it if for no other reason than to see how Torri and her family deal with the ordeal. Vivian Gilbert Zabel has written several books and poems over the years. She always knew she would be a writer and she was right. She taught high school English and writing for twenty-seven years. She lives with her husband of 50 years, Robert, in Oklahoma and periodically surrounds herself with her children, grandchildren and great grandchildren as she writes her books and poetry.